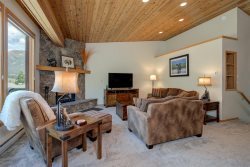 View our selection of three bedroom rentals in Big Sky Montana. This is a mix of luxury mountain rentals, ski chalets, and cozy homes offer great amenities and features for a true home-away-from-home feel. All located within convenient distance to activities, attractions, dining and shopping these rentals are ideal for any group visiting at any time of the year. Search these great Big Sky rentals today to book the perfect three bedroom option for your trip.